The goal of a job posting is simple. It’s to capture the right candidate’s attention with truthful content to help them decide whether to apply. Note: Check out our free Job Descriptions Guide — it tells you everything we know about writing job descriptions! What if I told you I could improve the effectiveness of your job descriptions by 40%? To do that, I recommend you write your job postings at around an 8th grade or lower readability level. Did he say “8th grade or lower”? Now, I’m not suggesting that you’re trying to hire 8th graders. But if you want to attract the very best (and even the most educated) candidates in the world, you’re going to write at a lower grade level than you’d think. There are many ways to measure reading levels. In the U.S., the easiest reading level is by grade as in grades of the U.S. school system (where 1st grade is an early year of schooling and 12th grade is senior year of high school). They take into account length of words and sentences, number of syllables, use of pronouns and much more. All of them calculate a reading score and some have a school grade level readability score. It’s now widely accepted that writing at a 7th/8th grade level or below maximizes attention and retention. Do you see how all of them except the NY Times are written at a <9th grade level? 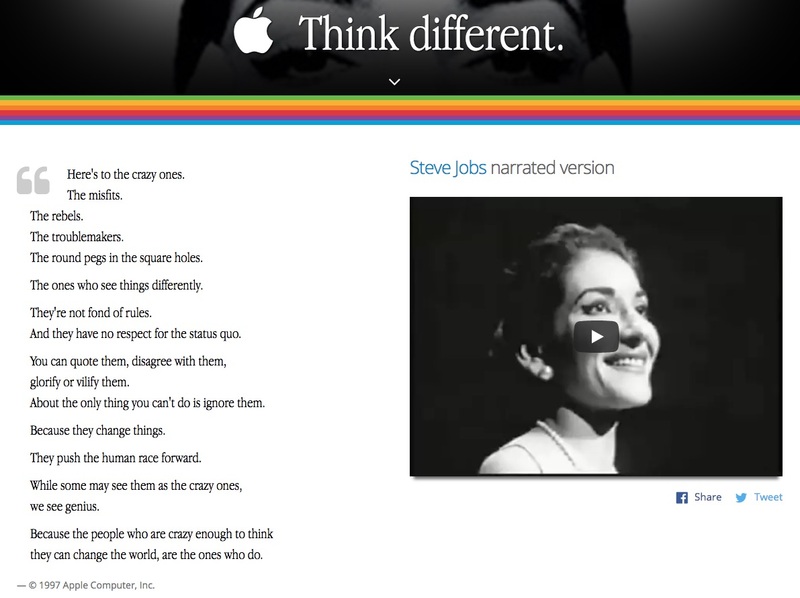 The most readable text (at the 3.5th grade level) comes from the famous “Think different” ad. This should come as no surprise. It was written by the advertising copywriters at ad giant Chiat/Day. Below are the words in case you’re interested — click here to see the video and the version narrated by Steve Jobs (the public one was narrated by Richard Dreyfuss). I wonder how many candidates applied to Apple because of that effective ad! Then, I analyzed more than 3,500 job descriptions from 11 public and private companies. The job postings are at anywhere from 10.2 grade level to 11.8 grade level. 11.2 was the average grade level. That’s a full 3+ grades (40%) harder to read than the 8th grade level I recommend. It’s simple. Job postings are typically written by a mish-mash of busy hiring managers and HR people. Few of them are professional writers and even fewer are writing job postings as a full-time job. A job posting is an ad and deserves as much copywriting attention as an ad your marketing team is putting out. At a bare minimum, you need to write your JD in Plain English. Even if you’re trying to recruit a graduate with a Master’s degree, you don’t want to “write up” to them at a high academic level. The best candidates are busy people and you’re trying to get them to read and then to stay awhile. Most candidates spend less than <10 seconds reading a text-based job ad. How hard is it to get a job posting from 11th grade to 8th grade level? Check out this opening paragraph of a Google software developer job description. Google’s software engineers develop the next-generation technologies that change how billions of users connect, explore, and interact with information and one another. Our products need to handle information at massive scale, and extend well beyond web search. Our engineers create software used by billions. Our products now go far beyond web search: they help users connect, explore and interact with information and each other. And they all must scale! That reads at about a 6.3th grade level (the Heminway level!). All I did was use shorter words and sentences. What about more technical text such as in the Requirements section. That text already scores at the 7.5 grade level (and I didn’t even touch it yet!). The toughest section of a job posting to make readable is the EEO/Diversity section. That’s often full of compliance language from your Legal team and most lawyers are not known for writing readable text. In my experience, you might have to settle for about 10th grade readability level for an EEO/Diversity section. I wrote about 5 Free Tools to Write Better Job Descriptions last month and 3 of those tools will give you a readability score. The easiest free one is HeminwayApp. Another more in-depth tool, Readable.io, lets you have a free trial to test out average grade level. Even Microsoft Word gives you an Average Grade Score (though they don’t provide tips on how to improve it). Pay extra attention to your opening paragraph — that’s where you win or lose the candidate! For some more in-depth JD Writing tips, you might also check out all my free articles at this Writing Job Descriptions tag. The Ongig Text Analyzer software now scores all your JDs for readability as well as gender, sentiment, word count and more. Ongig also has a job description copywriting team on-demand to help you rewrite your JDs at a higher scale. You can request a demo if you want to see what the average grade level of some of your job descriptions is. I’ll be glad to run your JDs through the Ongig Text Analyzer.